It can be said that he rose to the occasion. 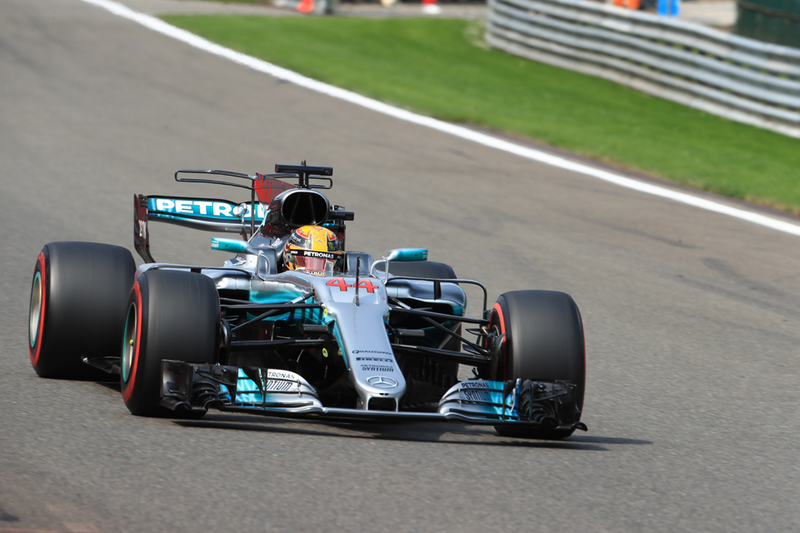 Lewis Hamilton will start tomorrow's Belgian Grand Prix at Spa from pole, but the qualifying session was about so much more than that. In more than one sense. He was imperious at this most classic of tracks, which was fitting not only to break the all-time track speed record but also to equal the all-time pole total record held by Michael Schumacher. All too on Schumi's most devastating of hunting grounds. Matters came full circle. 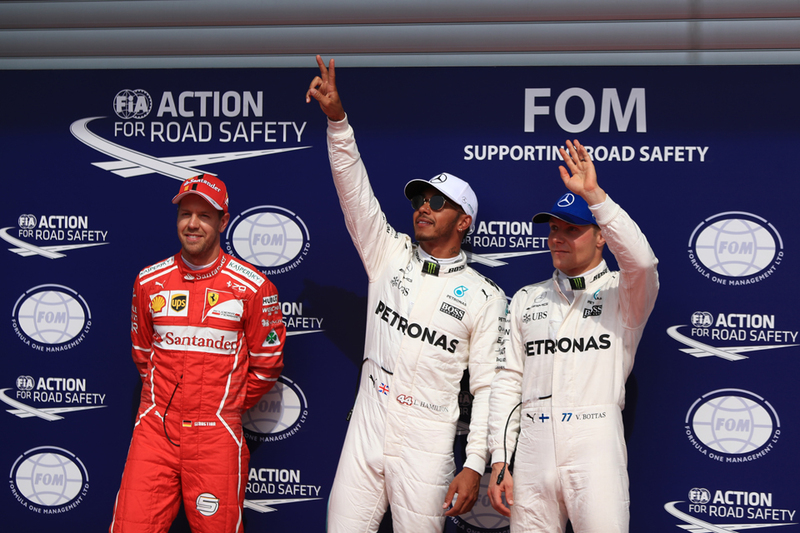 We entered the weekend with plenty of reasons to think Mercedes would be on top. Initially in practice it looked that way, but strong Ferrari race running on Friday then an equally strong Saturday morning practice led us to think the red cars might make a game of it. But as often it was an illusion. Mercedes figures didn't look worried. As usual come Q2 Merc cranked its units up. It has new ones this time too adding to the shift. And of the Merc pair Lewis has been well ahead this weekend. The rest was a formality. In Q2 he was well clear even with a swapper and wide moment at Stavelot. Then - possibly worried about grubby tyres to start on - he went again and tore six tenths off his mark and took the track record mentioned. He was similarly crushing in qualifying's final part - first with a 1m 42.907, three tenths under the rest. Then in his final run he beat his time down all the way to a 1m 42.553. The rest had yet to run again, but all knew it was a foregone conclusion. "I can't believe it," Lewis said afterwards, "this is one of my favourite circuits so to put together a lap like that, it's a dream. "I've got the best job in the world." Corinna Schumacher, via Ross Brawn, delivered her congratulations on behalf of the Schumacher family. "To hear the message that Ross just gave I just have to give a big thank you," Lewis added emotionally. "I think and pray for Michael and his family all the time. "I always admired him and still do today, I'm just honoured to be up there with him. He'll always be one of the greatest of all time." There is a familiar face in second, but with a haphazard route getting there. Sebastian Vettel looked oddly off it for the most part, well shy of his track specialist team mate Kimi Raikkonen. But Kimi messed up his final quali effort, then helped his stable mate with a tow. Seb in the last breath took second, just quarter of a second off Lewis. "It was the right time," said Seb aptly. "I had a bit light front end, especially in the medium-high speed corners I was lacking a little bit of response. "But the last lap the car was a bit more lively, I felt that turning into turn 1. 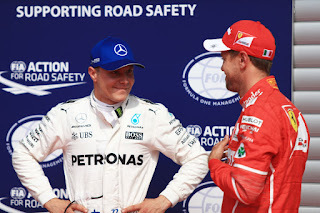 "And then I have to admit I was lucky with Kimi who had to abort his lap and then gave me a nice tow. Good position today, great job from the team, I'm happy." We often say P2 is preferable to pole here with the long slipstreaming run to Les Combes. Seb you suspect won't be shy tomorrow. Yesterday's race runs were disrupted by rain, but what there was suggested Ferrari was strong in Sunday trim. "So far it was been looking pretty good," Seb added of his race pace, "one lap is a bit trickier to get it together; consecutive laps, high fuel, I've felt really good. For sure Mercedes will be quick but we don't have to hide. We're on the front row for a reason." 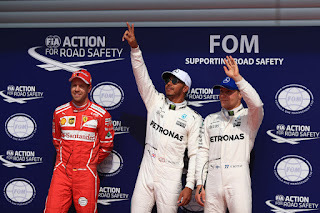 The other Merc of Valterri Bottas as noted wasn't quite at the races, and third was his, half a second off Lewis. 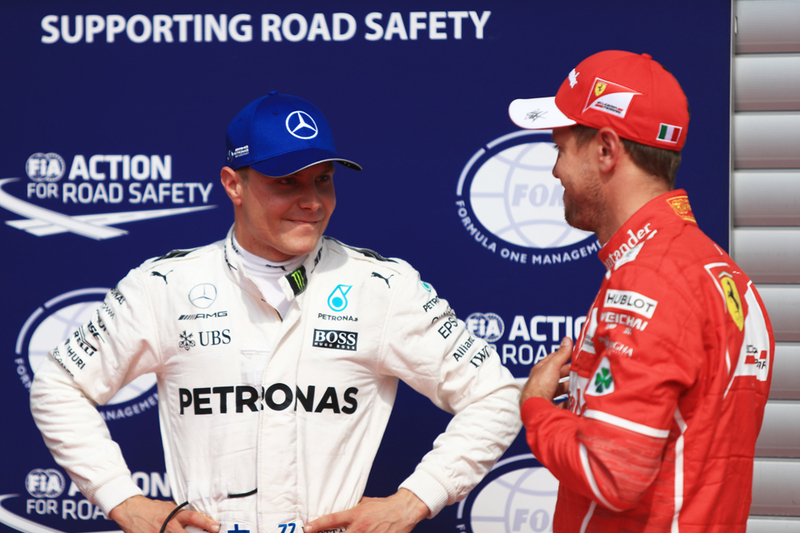 "For some reason I've been really struggling," Bottas admitted. "We need to investigate why." Kimi still got fourth, and the Red Bulls were next up. 'Home' boy Max Verstappen said he had "a perfect qualifying" and got fifth, nearly half a second up on Daniel Ricciardo. "When we start to push more we find ourselves in all problems," added Ricciardo cryptically. Jolyon Palmer meanwhile for about the first time this year looked on form. 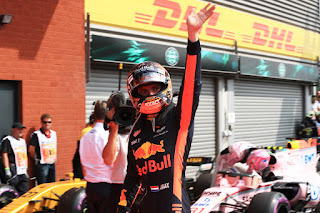 But as if to prove that when you're down nothing will go for you having got into the final quali part in P7, two places ahead of his Renault team mate Nico Hulkenberg, he had to park right at the start of Q3 with a broken gearbox. The Hulk got seventh in the end, while Palmer's consolation prize is tenth. He might yet get a penalty. 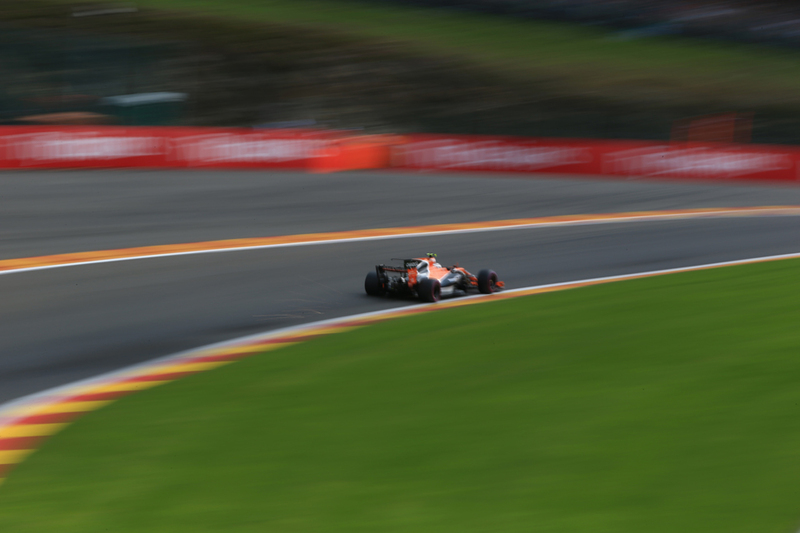 The Force Indias start eighth and ninth, Sergio Perez once again the one ahead. The pair will be hard to clear tomorrow, as the team's gone for ultra slick settings to fly on the straights, and bottle everyone up presumably in the middle sector. McLaren like last year showed up oddly well on this power track, and this time helped itself with some interesting tag team tactics giving each other tows. Fernando Alonso just missed out on Q3, shrieking about "no power" on his aborted final effort. He later added that "we know how much we are losing with the engine, so we would easily be in first and second positions [otherwise]." He'll start P11 - which given the tyre choice (more of that anon) may be better than the lower part of the top ten. 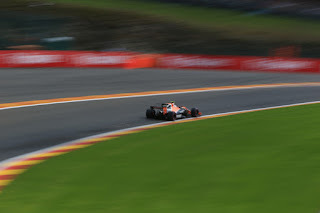 Stoffel Vandoorne again looked in Alonso's vicinity but didn't have a go in Q2 due to having a 65 (count 'em) place grid penalty for new engine parts. Williams meanwhile managed to find a new low. on a track supposed to suit it both cars bundled out in Q1; apparently as in Austria and Britain it's not liking high load corners. "The others are going forwards, we are going backwards," noted Felipe Massa pointedly. It added to a weekend with various problems for the Grove team. Massa missed almost all of Friday and this morning got a five place grid penalty for ignoring yellow flags. The team also got a fine for using a set of tyres on Lance Stroll's car too late. Stroll then lost a front wing end plate in quali. It's poor timing too as an intriguing Alonso to Team Willy rumour has burgeoned this weekend. For tomorrow, as is also apt for Spa things are tantalising. 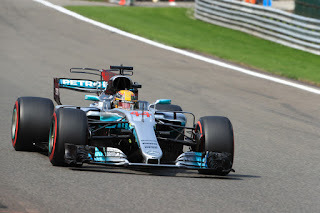 One-stoppers are expected, teams aiming to switch either to the supersoft or soft after about ten laps and running to the end (Merc looked very good on the soft compound in practice). But like Silverstone it's not thought an easy one-stopper. Blistering is also expected, which may necessitate earlier stops. This could throw the best laid plans. "Over the course of a stint there is blistering and a lot of things going on with the tyres here," added Ricciardo. And of course this is Spa. Rain is always possible, regardless of forecasts. Matters can look very different exiting tight La Source on lap one. The long run to Les Combes we've mentioned. Be in place for this one. Accurate as ever. You should research and develop an article about the tows we've seen and state-of-the-art of aerodynamics in F1 in 2017. We've been watching aero troubles in corners for the past 20 years, DRS over this decade, that we almost think that the slip-stream even on a straight line is over. My son watched Cars 3 recently and he loved to watch the McLarens doing the same thing as Cruz Ramirez and Jackson Storm. Thanks very much Ismael, glad you liked it. As for an aero article, I'll keep it in mind though I suspect journos who specialise in the technical aside - e.g. Mark Hughes, Craig Scarborough - would do it justice much better than I would!